Behind The Thrills | Wizarding World of Harry Potter merchandise debuts at Universal Studios Hollywood! Wizarding World of Harry Potter merchandise debuts at Universal Studios Hollywood! 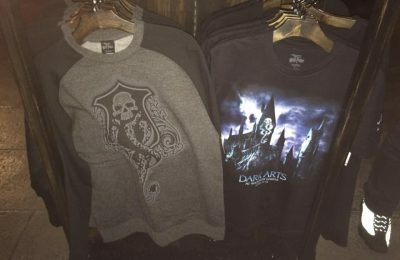 Wizarding World of Harry Potter merchandise debuts at Universal Studios Hollywood! Wizards and witches! If you need to get your supplies before your year at Hogwarts ends, Muggles have added another depot to get all of your supplies, without having to make a trip to Diagon Alley. 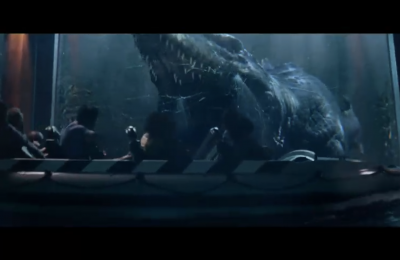 Universal Studios Hollywood has revealed a few items from The Wizarding World of Harry Potter! The new items are located just beyond the gates at the park, inside “Feature Presentation”. 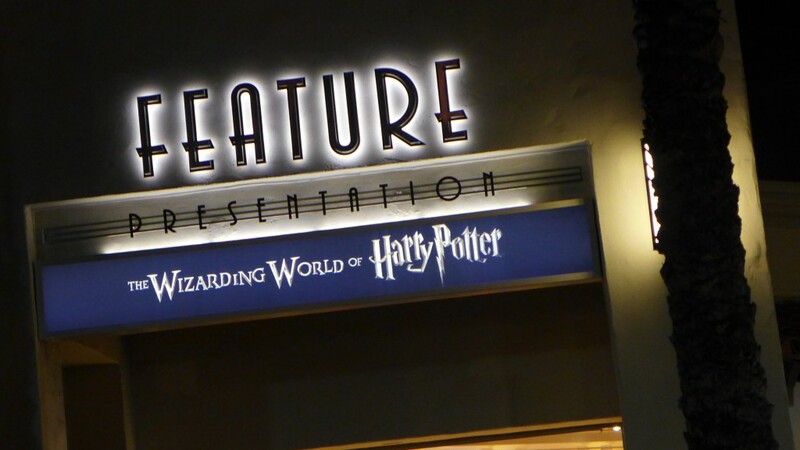 The store and merchandise come just a week before Universal Studios Hollywood unveils more details about their version of The Wizarding World of Harry Potter, which opens at Universal Studios Hollywood in 2016! The secrets of The Wizarding World of Harry Potter might be locked away for another year, but guests can get an early preview of the merchandise that will be available. The park has rolled out a huge line of merchandise at the park, with things like T-shirts, robes and scarves. 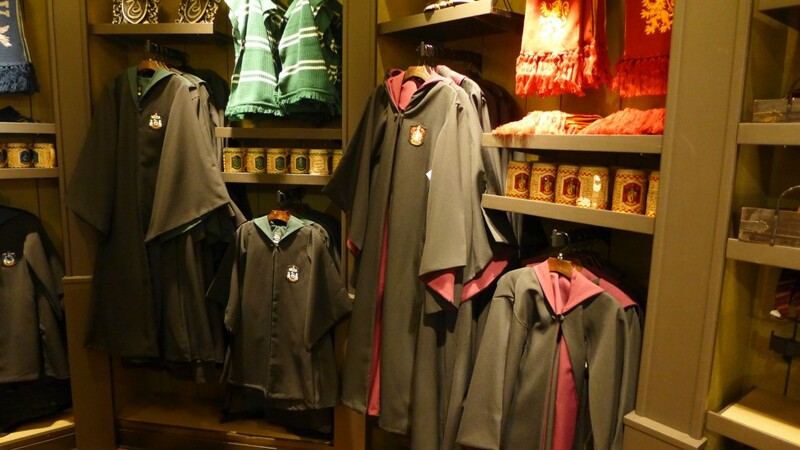 Just like in Florida, and Japan, all of the merchandise is authentic Wizarding World items. You’ll find high quality robes in all of your house colors, as well as scarves, pennants, mugs and various other items. For the Quidditch player, there is a fine assortment of supplies, including Quidditch shirts, bludgers and beater bats. If you’re looking for more equipment, there is also a small assortment of brooms. Of course, it wouldn’t be a trip to the Wizarding World without a trip into the sweet shop. There is a wide assortment of Chocolate Frogs, Every Flavor Beans, and several other treats to tide guests over. 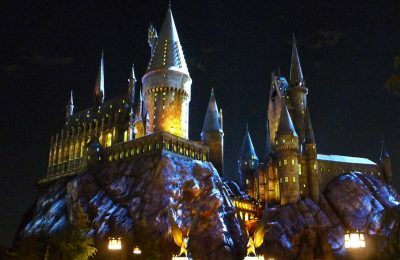 If you want more, you’ll have to make a trip to Hogsmeade Village or Diagon Alley located at Universal Orlando, at least until 2016. Other merchandise includes the Harry Potter book series, as well as some great looking wall plaques. Of course, there are also the wands. Guests can pick up a replica of their favorite witch or wizards’ wands, but don’t expect them to work quite well for you. Ollivanders Wands has not open yet, and we all know that you never get such a good result from another witch or wizards wand…still, they are fun to have! All of the items are certified by Warner Brothers as authentic collectibles, with many available only at Universal Orlando. 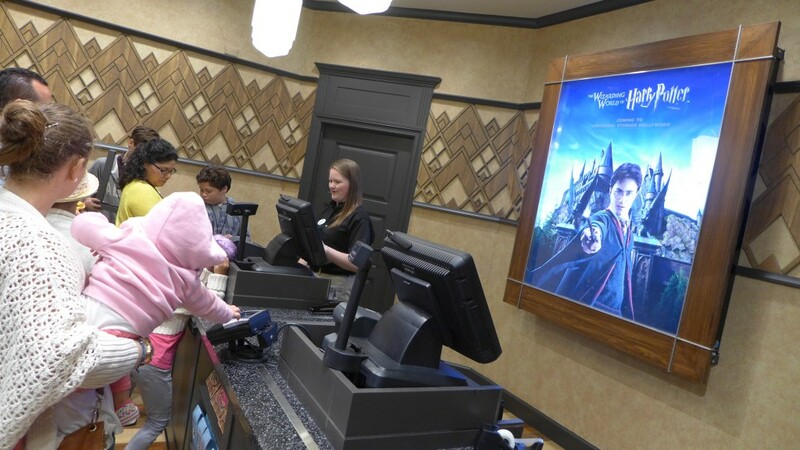 As 2016 gets closer, guests can expect to see even more merchandise trickle in from the Wizarding World. Slideshow-Check out even more pictures from The Wizarding World of Harry Potter! Stay tuned for even more from Universal Studios Hollywood, and be sure to get social with us on Facbeook, and follow along with us on Twitter @BehindThrills for the latest updates!